Dubai, UAE, May 1, 2017: When the IAAF Diamond League reaches Doha, Qatar, on May 5th, OMEGA will be on hand as the event’s Official Timekeeper. The Swiss brand is widely known for its expertise in athletics timekeeping, especially through its role as the Official Timekeeper of the Olympic Games. OMEGA has been the Official Timekeeper of the IAAF Diamond League ever since the event was founded in 2010. 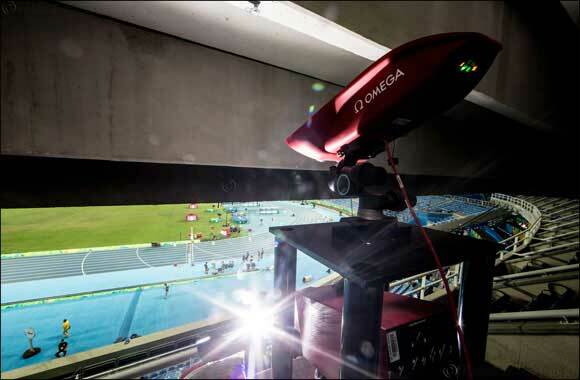 In addition to its timekeeping and data handling activities at some of the world’s highest-profile sporting events, OMEGA has also been responsible for the development of much of the key technology in sports timing, including the modern starting pistol, state-of-the-art starting blocks and false start detection systems and the latest version of its photofinish camera, the Scan’O’Vision Myria, which records up to 10,000 digital images per second. To complement its partnership with the IAAF Diamond League, OMEGA offers a mobile application. The app, available for iPhones and Android smartphones, transmits live results during IAAF Diamond League events and makes timetables, schedules, ticketing details and news available to users in advance of the meetings. A three-minute video following each meet, a gallery of photographs from the events and other information concerning results are also available on the app.